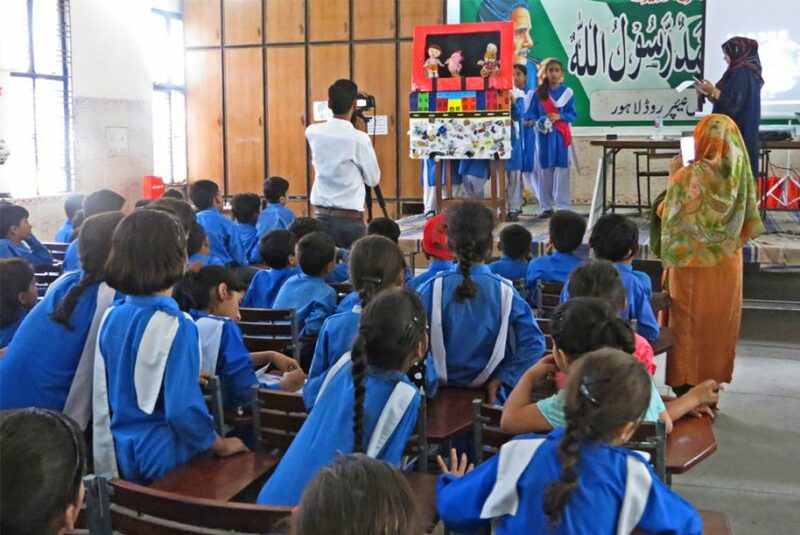 Lahore: Albayrak Waste Management arranged a puppet show in Government Girls High School, Napier Road on Saturday. The main purpose of the drive was to engage the students in the recreational & co-curricular activities and to sensitize them about proper waste disposal. Favorite cartoon characters of the students highlighted significance of cleanliness through dialogues. The students also promised to cooperate in keeping their surroundings clean. A coloring competition was also arranged in which number of students participated. Albayrak team distributed prizes among the winners of the competition. A face painting stall was also established. The recreational activity was concluded with a plantation drive. Saplings were planted in the premises of the school.